you can sample all that Selma has to offer. Many restaurants are available throughout Selma. A restaurant listing with addresses and phone numbers is available from the Chamber of Commerce by clicking here or you can download a pdf file here. Be sure to ask about hours since many of the restaurants are not open for dinner and might be closed on certain days. We will also have current info at Pilgrimage Headquarters at the Vaughan-Smitherman Museum during Pilgrimage. Discover FARM FRESHNESS! Visit the Orrville Farmers’ Market, located in old town Orrville on Main Street, 14560 AL-22, Orrville, Alabama. Open 6:00 AM – 5:00 PM, Friday and Saturday. Breakfast served 6-9 and lunch 10:30-2. The Orrville Farmer’s Market allows consumers to have access to locally grown, farm fresh produce, artisan foods, agricultural based products, and prepared foods. Start your day with a delicious breakfast or come out for lunch prepared with care using fresh-from-the-farm Alabama produce. Show your Pilgrimage ticket and receive $1.00 off your purchase on March 15 & 16. FARM FRESH FOOD-GREAT SHOPPING-OLD FASHION CHARM! A listing of all Selma area hotels is available from the Chamber of Commerce by clicking here. Some hotels may give a Pilgrimage discount so be sure to ask! 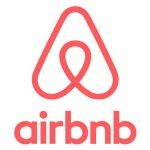 There are also many rooms available through Airbnb by clicking here.